In honor of Kartemquin's 50th Anniversary, WTTW in partnership with the Department of Cultural Affairs and Special Events will host a free screening of In the Game by Peabody award-winning director Maria Finitzo at the Chicago Cultural Center on Saturday, September 17 at 2PM. The screening will be followed by a discussion. The event is free and open to the public. RSVP here. 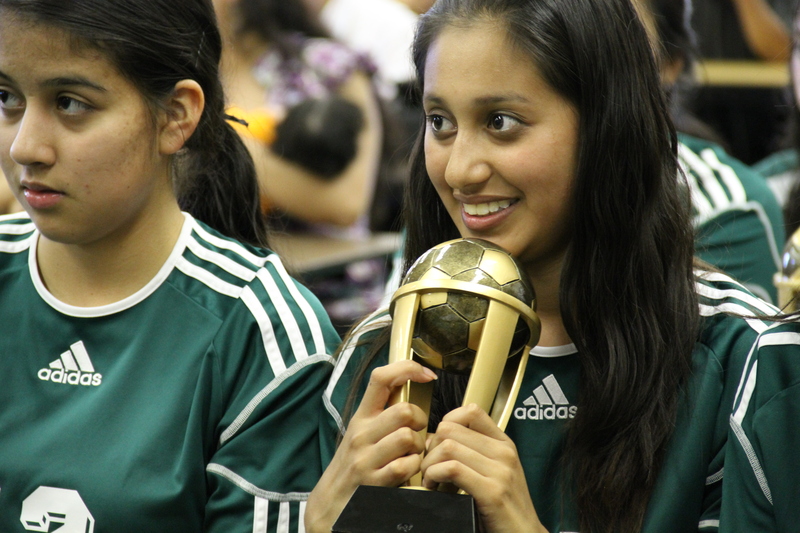 In the Game follows the ups and downs of a girls' soccer team to reveal the very real obstacles that low-income students confront in their quest for higher education. Set in a primarily Hispanic neighborhood, Kelly High School on Chicago's south side is an inner city public school struggling to provide the basics for their students, many of whom do not make it to college, either because they cannot compete academically or because their families do not have the financial resources to send them to college. The girls face an uneven playing field--or in the case of the girls at Kelly High School, no soccer field at all--little or no support, problems at home, uncertain futures, discrimination, and poverty, but remain undaunted thanks to their teammates and the dedicated mentoring of their coach. Free online streaming of every Kartemquin film in chronological order week by week at http://watch.kartemquin.com. Monthly WTTW PBS broadcasts of our films. In September WTTW will broadcast The Last Pullman Car on Thursday, September 1 at 10pm; Monday, September 5 at 10pm; and Tuesday, September 6 at 10pm. Throughout the month of October, WTTW will be screening In the Game. Find a full screening schedule here. Multiple retrospectives and premiere screenings across the nation, including at the UCLA Film & TV Archive in Los Angeles and The Museum of the Moving Image in New York City.